Hassan Rowhani: A Honey Trap for Iran and the World? Current: Hassan Rowhani: A Honey Trap for Iran and the World? Sayyed Hassan Rowhani, who adopted the color purple during the election campaign, won an overwhelming victory in the first round of the Iranian presidential election with a majority of over 50 percent, leaving Saeed Jalili (who came in second), his bitter rival during the campaign and the favorite of Supreme Leader Ali Khamenei and certain other conservatives, far behind. The win for Rowhani, a dyed-in-the-wool member of the revolution, will likely give the Iranian regime medium-term breathing space both at home and abroad. At home, the victory has deflected the pressures of the “Iranian street” and forestalled a (weak) possibility of a “Persian Spring.” Abroad, it will afford Iran breathing space in the international arena to gain a little more time, and possibly to ease the sanctions a bit by presenting the “moderate” Rowhani to the West. The West will likely “adopt” Rowhani – the only cleric among the candidates – and award Iran yet another opportunity to resolve the nuclear issue without a confrontation. Yet Iran is unlikely to alter its plan to achieve regional hegemony, and will go on exploiting Sunni weakness and American hesitations. In any case, Rowhani does not formulate Iran’s foreign and nuclear policy, which is dictated by Khamenei and the Revolutionary Guard. 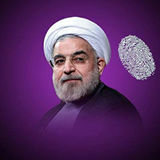 Rowhani could even serve as a sort of buffer between Khamenei and the West, thereby winning more time to complete the nuclear program and move to a “breakout” at the right moment. The Iranian people voted for the only “reformist” candidate, even though Rowhani is a conservative and part of the regime. Within the rules of the game of the Islamic regime, Rowhani will try to promote freedom of expression and to free some of the detainees (including Mehdi Karroubi and Mir-Hossein Mousavi, who are under house arrest). He is likely, though, to encounter the opposition of the Revolutionary Guard if he tries to move too fast. In 1999 the Revolutionary Guard sent a threatening letter to President Khatami, who instituted far-reaching reforms, in which they warned against continuing such a policy that threatened the Islamic nature of the regime. Rowhani emphasized at the time that, given these conditions, the decision to suspend the uranium-enrichment program was one of the ways to break the international consensus against Iran. In agreeing to suspend enrichment, Rowhani made clear, Iran managed to neutralize any such broad international consensus and to remove the threat of the United States bringing the Iran-related issues to the United Nations Security Council during his tenure as negotiator. Rowhani also revealed part of Iran’s negotiating strategy with the Western countries; implicit in his remarks is that it was based on deception. He underlined that, while Iran indeed suspended enrichment at Natanz (where Iran enriches uranium in centrifuges), it simultaneously continued its activity at Isfahan, where the uranium-conversion facility is located that produces the UF6 gas needed to supply the centrifuges at Natanz. Rowhani explained that at the time the Isfahan facility was not yet operational and more work and installation of equipment were needed there. He also said Iran did not agree to suspend the assembly of centrifuges; instead it continued that endeavor since it only had a few centrifuges and needed a larger number. Iran under President Rowhani will keep using similar tactics of cautious, non-defiant diplomacy. The West has obtained its “moderate president.” Iran will exploit this ongoing Western delusional tendency to the end. Numerous fruitless rounds of nuclear negotiations have been held since Rowhani’s time as negotiator. He was one of those who, carefully and prudently, set Iran on its nuclear course, and it looks as if he will be the one to bring it toward the bomb.